A developer has proposed another transmission project that would link Canadian hydro-power to consumers in Southern New England. As proposed the project would be 150 miles through Vermont, and be entirely underground and underwater. The transmission line is called the New England Clean Power Link. It would run from Southern Quebec, buried along the bottom of Lake Champlain before turning east for 50 miles to Ludlow, Vermont, where it would plug into the New England grid. The route for those final 50 miles has not been set, but a couple of options are available, including “rights of way that are existing roads, we’ll also look at potentially utility rights of way that are already existing,” says Don Jessome, CEO of Transmission Developers Inc. the projects developer. The money for the line comes from private investors, and it is not a partnership with HydroQuebec, which is the largest hydopower operator in the province. Such “merchant” power lines make their money by finding “shippers” that pay to sell their power over the wires. 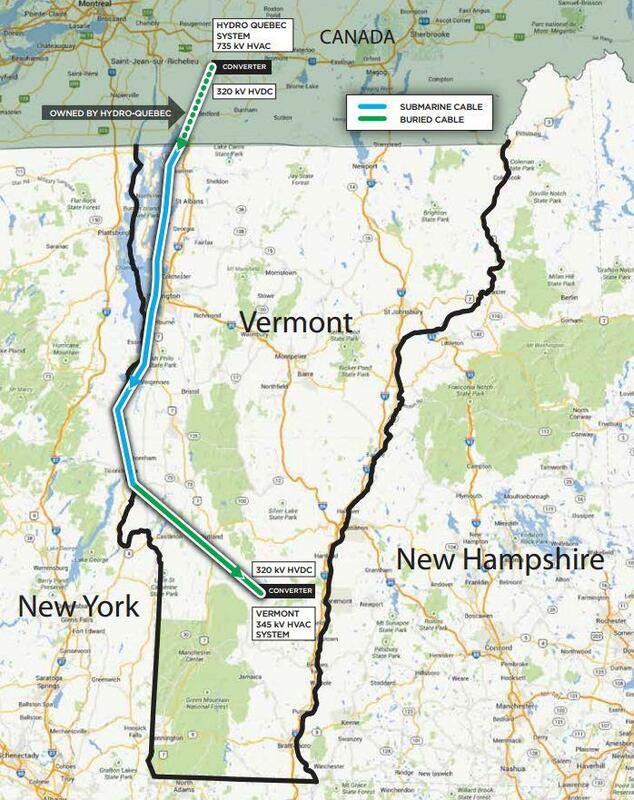 It would deliver 1,000 megawatts of power – a little less than half of what the state of New Hampshire uses on a hot summer day –into the New England Market and TDI estimates that the line will cost $1.2 billion, slightly less than the estimate for the Northern Pass, another transmission project proposed for New Hampshire. 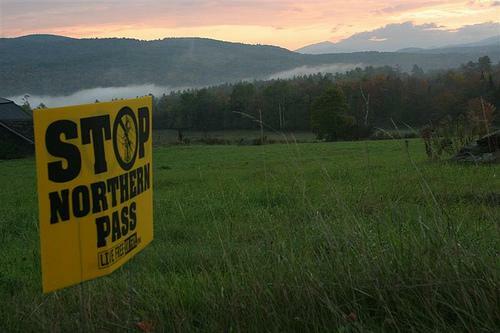 The announcement of the line comes as the developers of Northern Pass are increasingly under scrutiny for claiming that burying more of that line would make it too expensive to turn a profit. Despite a modified route for the Northern Pass Project Sen. Kelly Ayotte says she still has “serious reservations” about the plan and the lines along the entire route should be buried. “I am still very concerned about the impact on the beauty on the North Country and many other areas of the state,” she told NHPR following a Town Hall meeting Wednesday in Whitefield. Ayotte says it would be best to bury all the transmission lines, not just an eight-mile section in Northern Coos County. Paul Grenier, the mayor of Berlin, one of three Coos Country Commissioners and an advocate of the Northern Pass was a lonely guy Wednesday evening at the U.S. Department of Energy’s third public hearing on the project. Grenier walked through a sea of orange to reach the podium. There were about 350 people gathered at the Mountain View Grand Resort and most wore orange, a symbol of their opposition to Northern Pass. Grenier was not wearing orange. A Campton resort is suing the Northern Pass, claiming it has no right to use an existing Public Service of New Hampshire right-of-way for larger transmission towers. The suit was filed in Grafton County Superior Court by the owners of The Owl’s Nest Resort & Golf Club. The resort already has a PSNH right-of-way and the suit claims Northern Pass’ plan to add substantially taller towers is unreasonable and “wrongfully exceeds” the original right-of-way agreement.